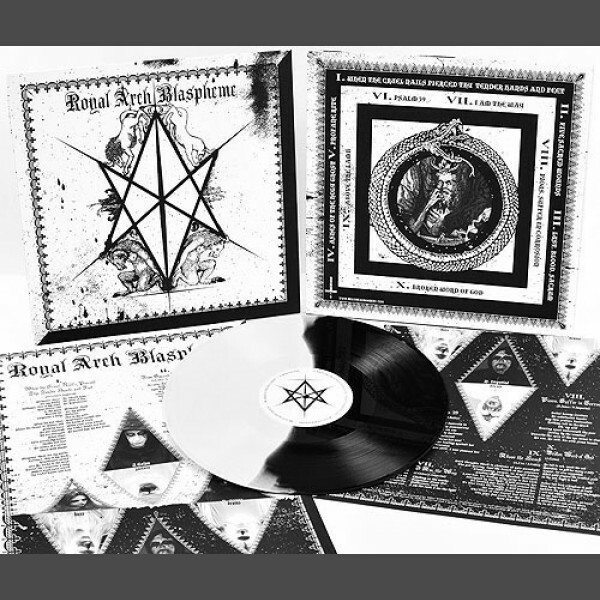 OUT NOW on Hells Headbangers: All copies pressed on white/black "half/half" colored vinyl. Comes with a fold-out lyrics insert. 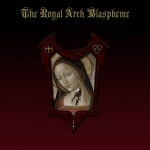 The LP version features two songs NOT available on the CD version ("I Am the Way" and "Above the Lamb") and the CD version features two songs NOT available on the LP version ("Resurrection of Depravity" and "Vama-Marga"). After polluting minds and corrupting souls with their self-titled debut album, THE ROYAL ARCH BLASPHEME return to wage war on the holy with the cryptic _II.? Once again the vision of PROFANATICA guitarist/songwriter John Gelso and KRIEG mastermind N. Imperial but now expanded into a full lineup, THE ROYAL ARCH BLASPHEME's highly anticipated "II" expands upon ideas from their original template: the primitivism is cruder, the sludge more volcanic, the blasphemy more vile, the production fuller and more devastating. What results is sickened (and sickening) miasma of black metal filth that only THE ROYAL ARCH BLASPHEME can create... bow down in obeisance.